What Size of Gun Safe Do You REALLY need? Whilst a gun may provide security inside your home, a gun can also provide a very dangerous weapon for a home intruder to use against you. Gun safes (or locking cabinets) are an important part of gun safety, and before buying one, any prospective gun owner must give some serious thought to the type of gun safe they need. There are several factors determining what safe you may need and this article will help cover these factors and help you decide on what size safe you ought to purchase. At the bottom of the range, you could purchase a metal cabinet with some form of lock. This would help keep guns away from children but would do very little for anyone attempting to steal your guns. For many, keeping their kids safe is the only reason to lock away their guns and this may be adequate. 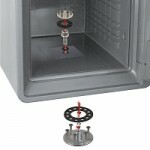 The next option, and really the best option I would recommend, is a heavy gauge steel safe. Here I’ll give three options: 8, 10, and 12 gauge steel safes. Whilst the average 12 gauge steel safe would hold off a couple of burglars for long enough for you to realise you’re being robbed – weighing about 500lbs, it could be carried away (unless properly installed)without the need to open it if the intruder has enough time to do so. 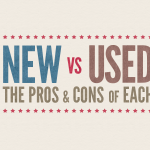 For most, 12 gauge is the sweet spot when it comes to effectiveness combined with price. If money is no object and you require the highest level of security, a 10 gauge or even 8 gauge steel safe (the lower the number, the thicker the steel) is what you should look for. With these safes, your only chance of getting into the safe is through some form of heating element, like a torch or plasma cutter. Neither of which your neighborhood burglar carries around. Furthermore, these safes weigh 1000lbs plus, something which would be pretty difficult to get out of a house (at least, before the local police force turn up). 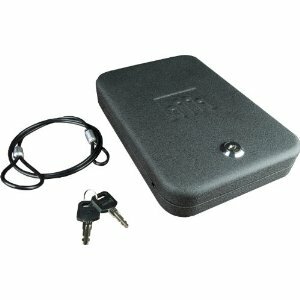 However, with the increased security of the safe, the price increases as well, and 10 gauge steel safes tend to cost upwards of $1,500. Unless you work in an armory or gun shop, I wouldn’t worry about investing in an 8 gauge steel safe. Now this is where people often make the wrong choice. They will find a fire-resistant safe (and I do recommend a fire-resistant safe), make certain that all of their guns fit in the safe, and buy it. Later on they realize those family jewels they’ve always treasured, important documents, and other valuables lying around the house, would also benefit from being protected from fire and should also go in the safe. 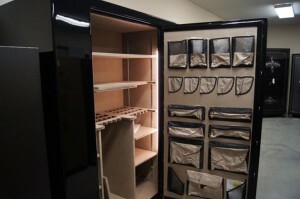 So what size of gun safe do you need? One bigger than you think! 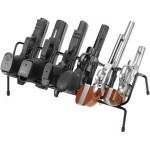 Choose a safe which will fit not only your guns, but all other important items, and then choose the size up. You won’t regret it! 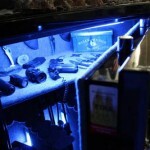 Tip: A common rule of thumb is to buy a gun safe which is rated to hold TWICE the number of guns you currently own. 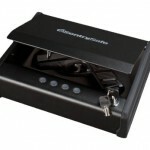 In the United States, gun safes are tested by Universal Laboratories (UL) and, once approved, they are certificated by being given a ‘Residential Security Container’ status. Make sure you get one which is certified! As to the reliability of the manufacturers of gun safes, check out some of the safes in our Top Picks section which we will periodically be updating. What's the Best Handgun Safe For the Money?